Located between Central and South America, Panama covers 75,517 square/km (29,208 square miles) and is bordered both by the Pacific Ocean and the Caribbean Sea – only 50 miles apart at the narrowest!. The 2.7 million Panamanians speak Spanish, but English is also widely spoken. Panama is a stable, democratic, independent Republic and the U.S. dollar has been legal tender since 1904. All major credit cards are accepted and there are numerous ATMs all over the country. Panama IS the world’s 5th largest International banking center. A valid passport is sufficient and a 90-day tourist card is obtained through your airline. 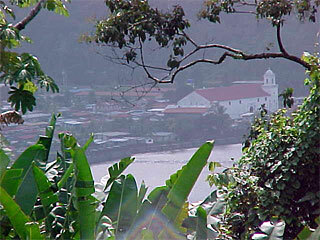 The Int’l Airport of Panama, Tocumen, has direct flights from the major cities of North and South America. Miami is only 2 hours away. European flights transit through the U.S.
his hurricane-free country enjoys a two-season tropical climate. From mid-December to May, the cool trade winds blow. The rest of the year finds light winds and sporadic rainfall. Temperatures are always between 25-30º C (80;-90º F). No special vaccination are needed. 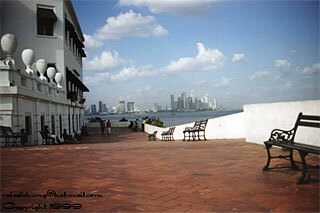 The City of Panama pleasantly mixes ancient and modern architecture. It’s always a pleasure to take a walk in 500 year old Casco Viejo, the original city sacked by Henry Morgan, the pirate. 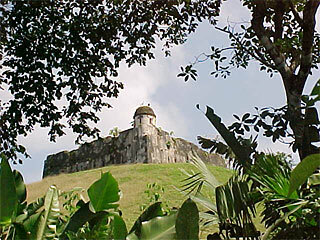 The most beautiful part of Panama is located along the Caribbean coast: the 365 island archipelago of San Blas. Established in 1938 as an autonomous Indian territory, the land and marine park of Kuna Yala offer both land and sea treasures. On the mainland, the “ cordillera de las San Blas “ mountain range rises above this gorgeous unexploited, unspoiled and relatively unknown paradise. Today’s Kuna Indians inhabit the islands in the same way their ancestors did – trading coconuts and fishing for crabs, lobsters and snappers aboard their graceful hand carved wooden canoes called “Cayucos,” complete with patchwork sails. Most of the communities speak only the ancient Indian language and the women still wear the traditional colorful dresses in orange and yellow, highlighted with the world famous “mola” rainbow colored patterns emblazoned with fish, birds, jungle animals or geometric designs. Their calves and arms are tightly bound with lengths of beads known as “Uinni” and they wear a golden ring through the tip of their nose. Arrive in Panama, then a quick flight on a small plane to Porvenier. 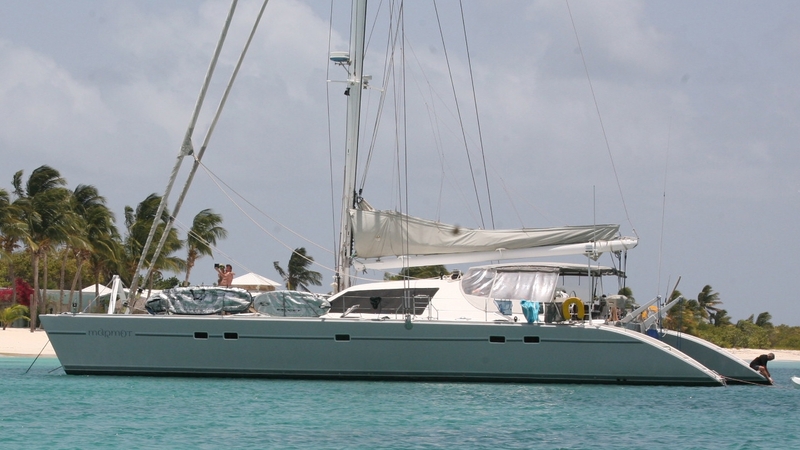 You will be greeted by your crew and brought back to your charter yacht via the tender. Enjoy a leisurely lunch onboard, then visit enchanting Nalunega. A short trip over to the Chichime Cays allows plenty of time to watch the sunset over the mountains of Panama. Spend the morning snorkeling the crystal clear waters, reluctantly returning to the yacht for lunch. As you dine al fresco on the shaded deck, your captain will move the boat to the next anchorage: Holandes Cays. You can hardly wait to plunge back into the water, or perhaps take a stroll on the white sand beach and relax beneath a coconut palm. Greet the day with a cup of fresh -brewed coffee, watching the sun rise from behind a perfect tropical island. Following breakfast, leave for the Coco Bandero Cays.. Lunch will be a beach barbeque, followed by a nap on a hammock strung between two palm trees. Then maybe a swim or kayaking before cocktails at sunset. You awake the quiet hum of engine as you head toward Alitupu, close to the mainland. Explore the nearby river and enjoy the thick shade of the rainforest and the songs of the vast number of birds that live there. 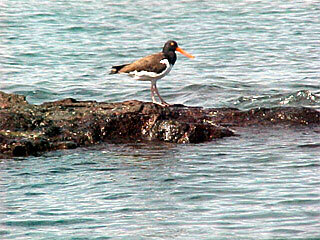 Leave Alitupu in the morning to spend the day at Nurdupu. Yet another example of a perfect tropical island, Nurdupu is dotted with coconut palms and breadfruit trees, ringed by white sand beaches and surrounded by clear azure waters. Dinner is a perhaps lobster that the chef has purchased from a local fisherman. 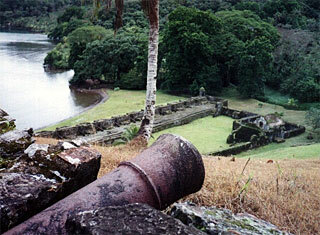 Leave the serene perfection of Nurdupu for the more populated island of Rio Diablo. Lunch in town to try out the local cuisine and enjoy the hospitality of the friendly Kuna Indians. The afternoon will be spent leisurely exploring the Rio Nasadi with its large stands of bamboo and mango trees. An early start for Ustupu, home to the largest village in San Blas, populati on 8,000! But there is still time to stop for one last quick swim in the gin-clear waters before showering and a short trip to the airstrip where you meet your plane to take you back to civilization. You know you have return, you still have several hundred islands yet to explore. The adventure will continue….